*Please note that registrations for classes scheduled between Jul 2018 - Dec 2018 are now officially open. Course dates and registrations for classes from Jan 2019 will be announced in Q4 2018. 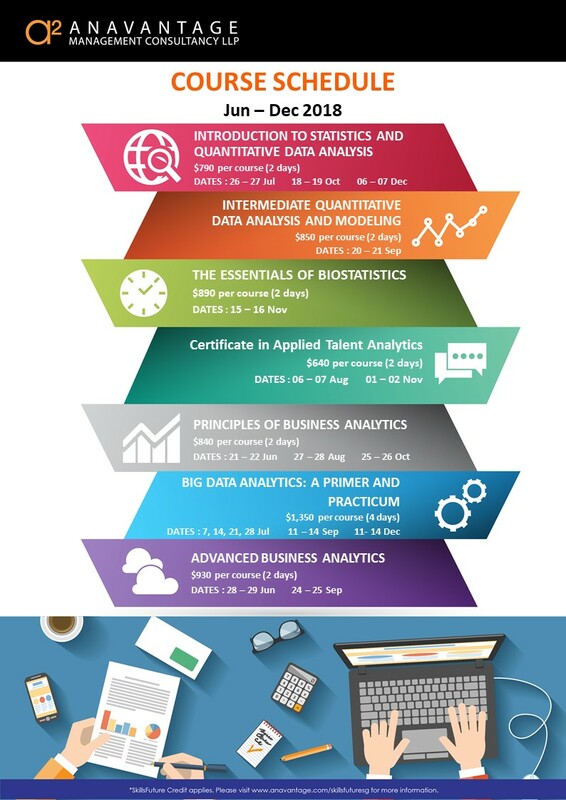 For enquiries or advanced reservations of seats for classes in 2019, please kindly email contact@anavantage.com for more information.​ Please also kindly note that registrations and class seat reservations are on a first-come-first-serve basis and registrations will close once a class is fully subscribed.